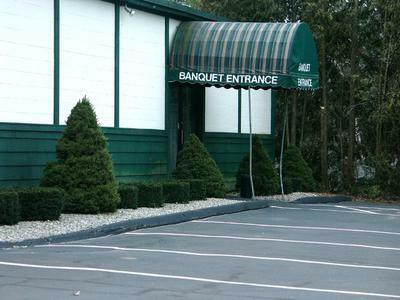 Joanna's banquet hall is haunted in somers CT. I know that because I did research and it said chairs move and ghost tap you on your back. The lights flicker on and off and I read that on like five different websites. And I called Joanna's today which is Easter and I called them because I know they are closed because it is Easter.when I called Joanna's they picked up but know one said anything then when I asked if they were haunted there was know one said anything and kept saying hello hello anyone there and then there was like there was heavy breathing. When I heard the heavy breathing I asked if they were haunted again and they just hanged up. I called them twice from 2 different phones when we asked if they were haunted they hanged up on both phones so that is y I think Joanna's banquet hall is haunted. If you don't belive me do some research for your self and then call and ask if they are haunted but when you call make sure it is on a holidayso that way the ghost will probably be there to pick up and I was very suprised when I found this out because I go to joanns all the time this is a true story. Good luck!!!! !